As the Church celebrates the conversion of St. Paul today, we also rejoice in the missionary work he did, sharing the Good News of Christ with all whom he encountered. We’ve therefore posted below an excerpt from Klaus Detlev Schulz’s Mission from the Cross about setting priorities for a theology of mission. It can be disconcerting to see the mission of the Church in a state of constant change. One would expect that mission is based on an unshaken foundation that, within reason, keeps changes in check and prevents methods and strategies from being constantly replaced by others. Indeed, a “theology” of mission should attempt to establish guiding principles that withstand the torrent of time and offer an element of stability. However, as one actually pursues a theology for mission, the question is: Where should one begin? Where is an appropriate starting point, and which principles should one choose? For Lutherans, the answer to these questions is perhaps not as difficult as one might imagine. 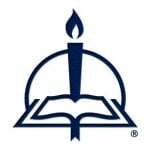 Lutherans have had an organizing principle all along. Call it the criterion around which all other theological principles gather. In the following chapter, we shall examine the doctrine of justification. Justification forms the centerpiece of Lutheran missiology, and around it clusters a series of principles that are influenced and normed by it. Meanwhile, let me more briefly point to some important aspects that would be indispensable for the emerging missionary task and missiology. Mission is rooted in the mystery of the triune God, whose entire being is a communication and a giving of Himself to the world. The triune God is the subject of mission and, as the Church pursues her mission, everything she does emanates from God and reflects His very being. Mission is embedded in the eternal relationship of love that God has with this world. As the Church speaks of her mission, she should, above all, point to the mission of God, the missio Dei. Mission affirms the primary work of God, and that should serve as the vantage point. God plans and wills salvation for all (1 Tim. 2:3–4), and He ensures that this salvation is brought to those in need. Mission is concerned with salvation and a particular understanding of it. God wishes to free people from their guilt and have them receive a new life. This means that mission represents the task of calling every individual to turn away from sin and toward God. Mission also calls these individuals into the family of God, that is, the Church. Such salvation is spiritual in nature. At the same time, mission does not reject physical concerns, those associated with the First Article of the Creed, with creation. While mission is concerned with bringing salvation in the narrow, spiritual sense, an integral part of it also implies a care for people in need. Mission always deals with a community of believers. In the Apostles’ Creed, we confess that community as the “communion of saints,” which agrees with Article VII of the Augsburg Confession. This implies that God planned and created the human being in such a way that he does not exist separately from the Christian community (1 Cor. 12:13). Christians do not go their own way independently from one another. Rather, they nurture and support one another as a body. Only together, through the divine means of Word and Sacrament, will they find the important support and nurture for life eternal. The Church represents the haven of salvation. The communion of believers shares God’s Word as the gift of salvation, and the Church becomes an instrument of the Holy Spirit to further the salvation of the world. A further essential element of mission is the world or context, particularly those people who have not yet heard the Gospel and those who are not members of the Church. Mission is never active in a vacuum or in the abstract; it happens where God meets the world, where the divine and the human dimensions come together. A case in point is the life and ministry of Jesus Christ. As the incarnate Son of God, He walked the earth in human form while still the divine Logos. For us, the human element includes the entire existence and reality of people as they order and structure their lives, both as individuals and as groups. However, as the Church confronts the world with the Gospel, not all Christians will agree how the Gospel informs the culture. The late theologian Richard Niebuhr claimed that Christians see the Gospel at work in culture in five different ways: (1) Christ against culture (antithesis); (2) Christ of culture (accommodation); (3) Christ above culture (synthesis); (4) Christ and culture in paradox (polarity); and (5) Christ the transformer of culture (conversion). It would be difficult to choose any one of the five as definitive. In a way, each possibility represents a part of this complex subject matter. In fact, the late Lesslie Newbigin observed that “there can never be a culture-free gospel.” Christians ought to contemplate Newbigin’s observation carefully as his insight may free up all those who serve in cross-cultural witness. Christians come to grips with their own cultural setting and thus avoid potential mistakes and misunderstandings as they witness to the Gospel in varying contexts. From Mission from the Cross, pages 37–39 © 2009 by Klaus Detlev Schulz. Published by Concordia Publishing House. All rights reserved. 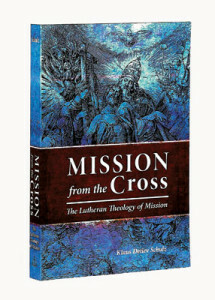 To order Mission from the Cross, please contact CPH at 800-325-3040 or visit www.cph.org.